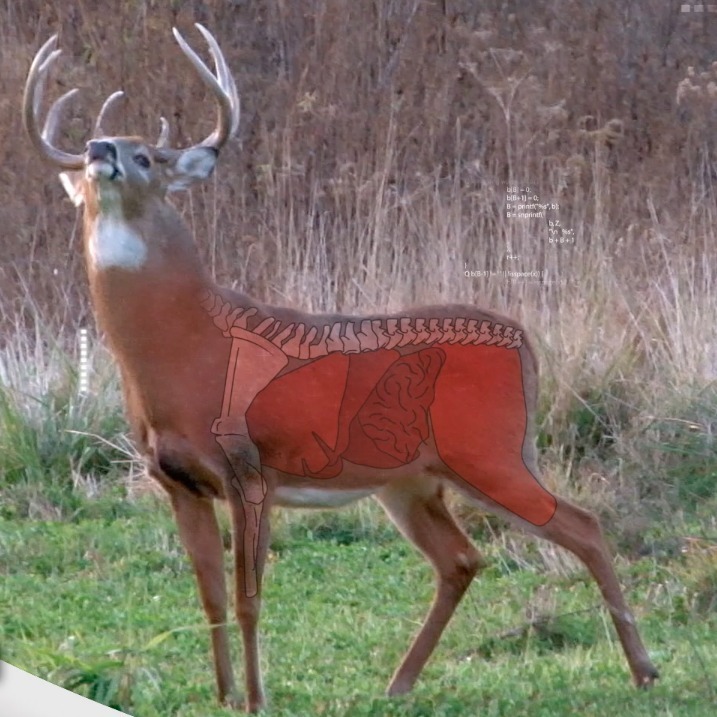 One of the challenges deer face is that nature doesn’t always provide the key minerals necessary to grow trophy bucks. 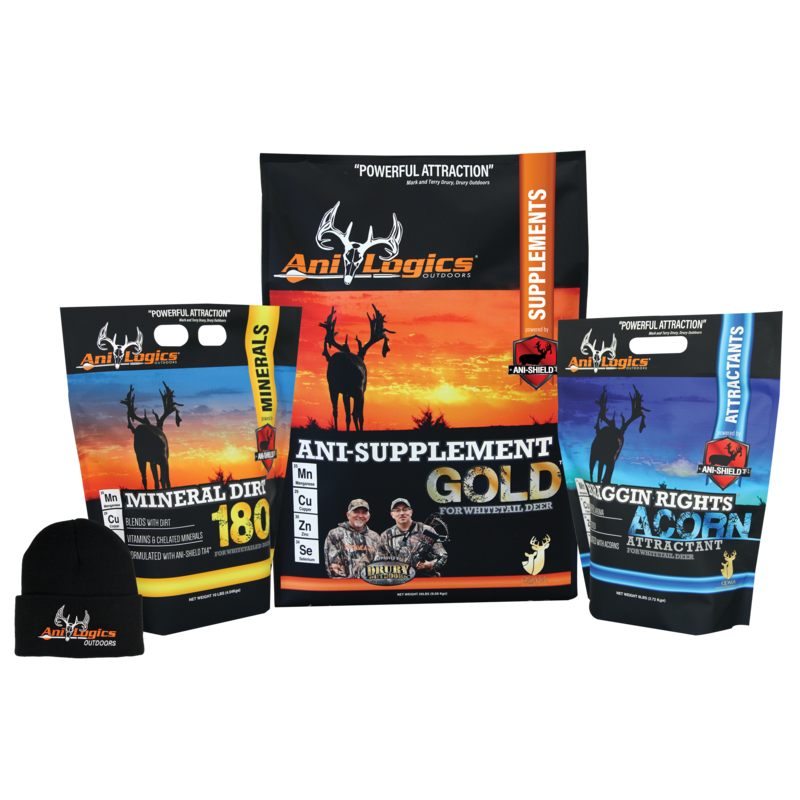 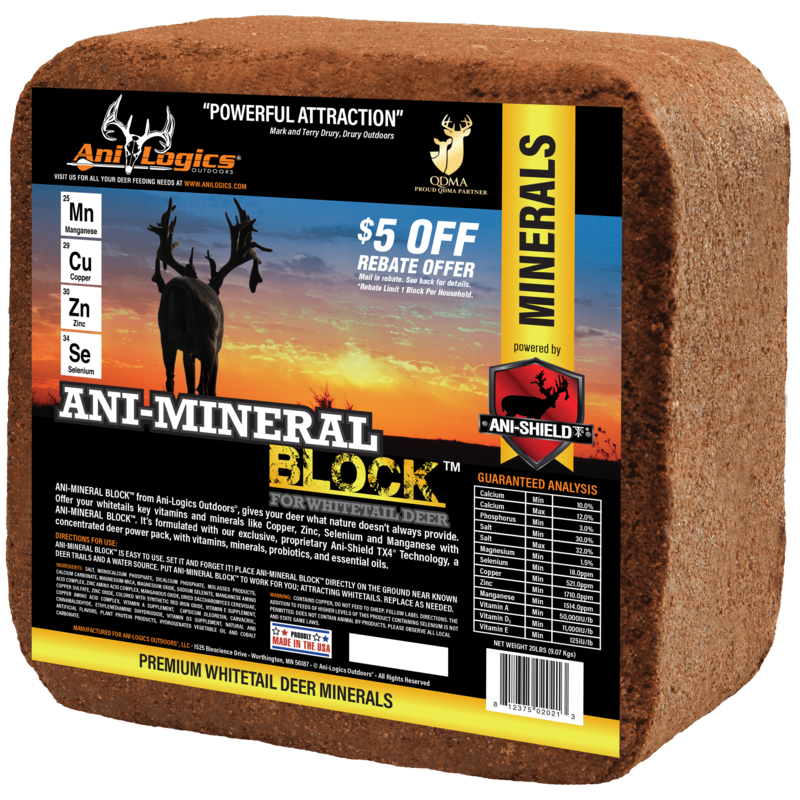 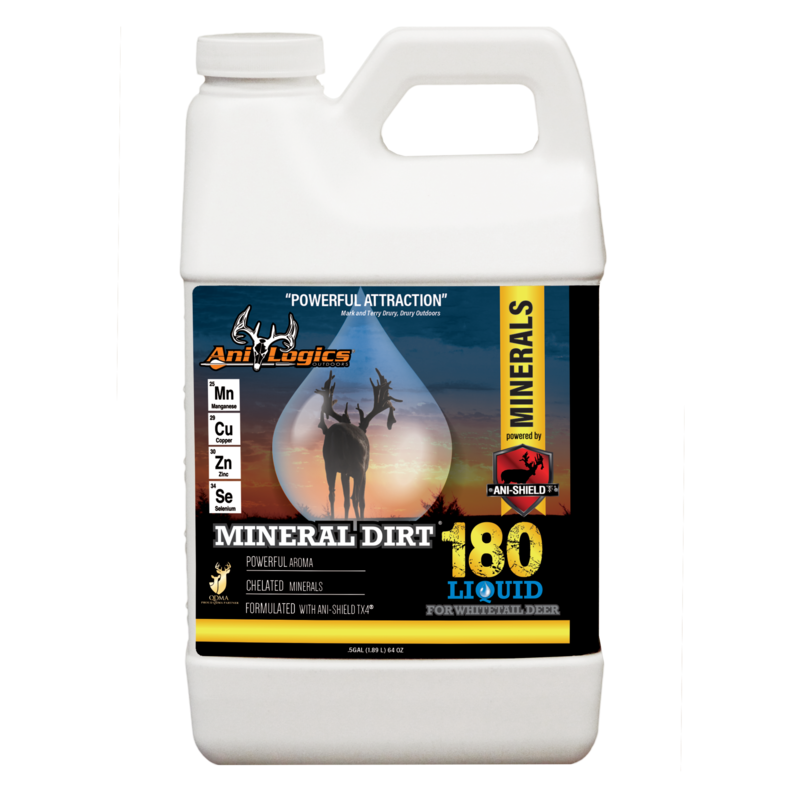 The Ani-Shield TX4® technology in Mineral Dirt® 180 and Ani-Mineral Block™ provide deer with key bone-building, health promoting nutrients, which contribute to antler and body growth by offering targeted chelated minerals like Copper, Zinc, Selenium, and Manganese. 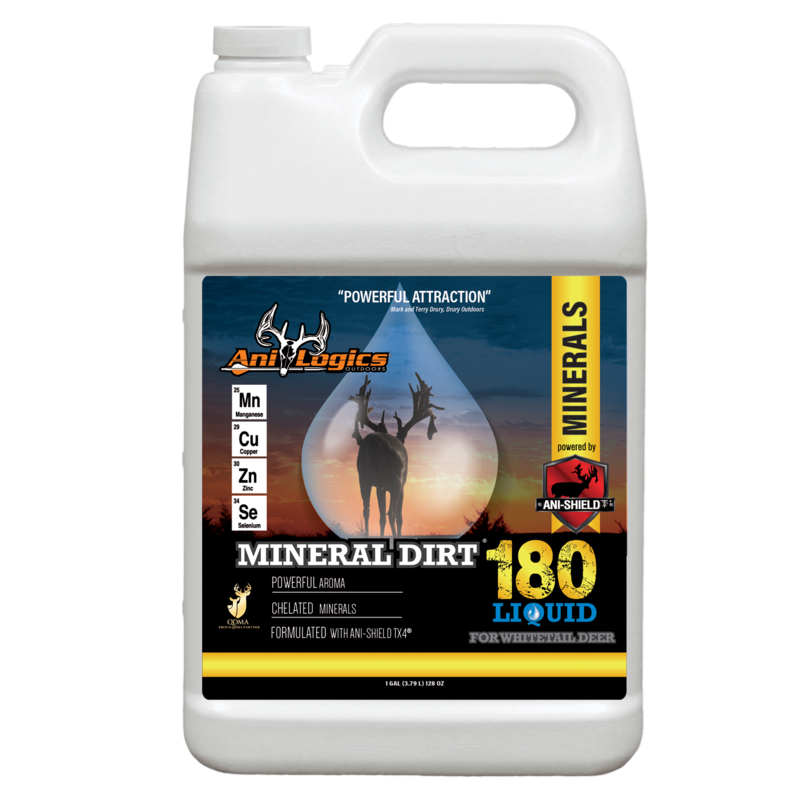 We use the chelation process, where minerals are bound to a protein, to make these all-important minerals more absorbable and available for use by the white-tailed deer. 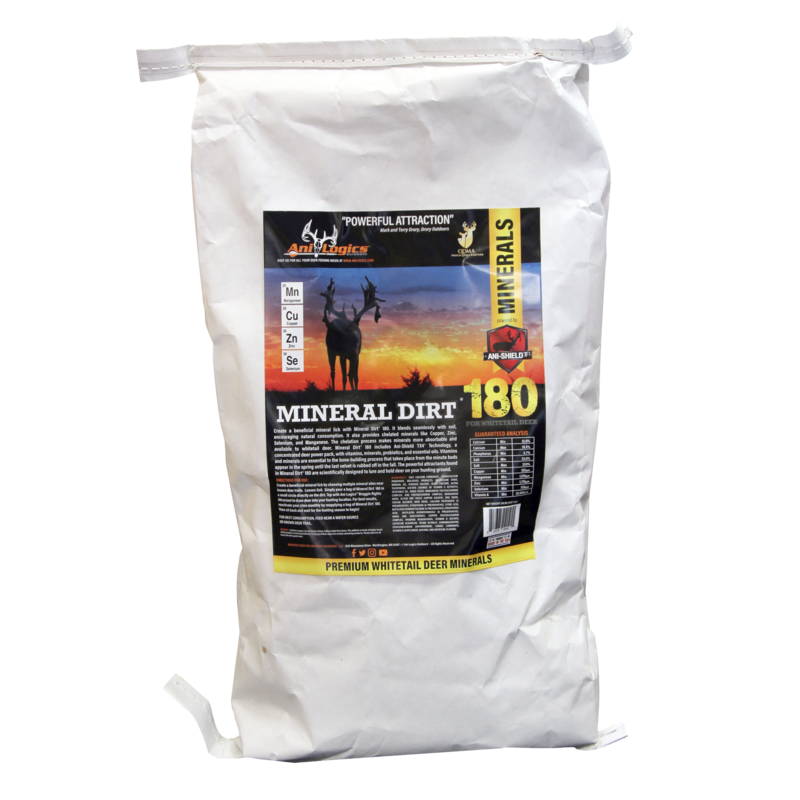 Salt does not help deer meet their mineral requirements. 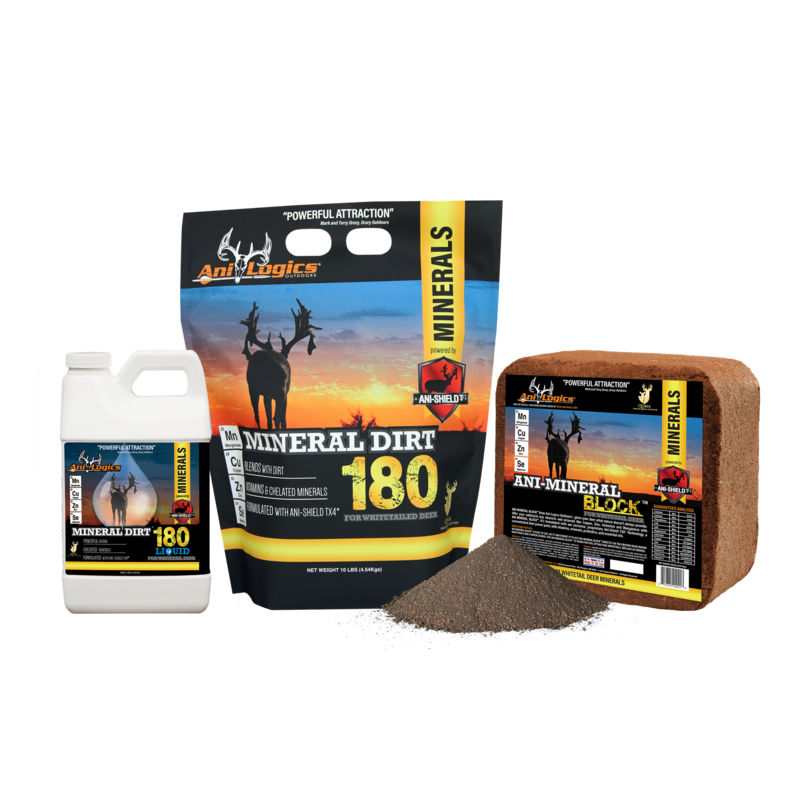 You should also know that the high salt levels in competitor products actually limit the deer’s ability to ingest critical bone building minerals. 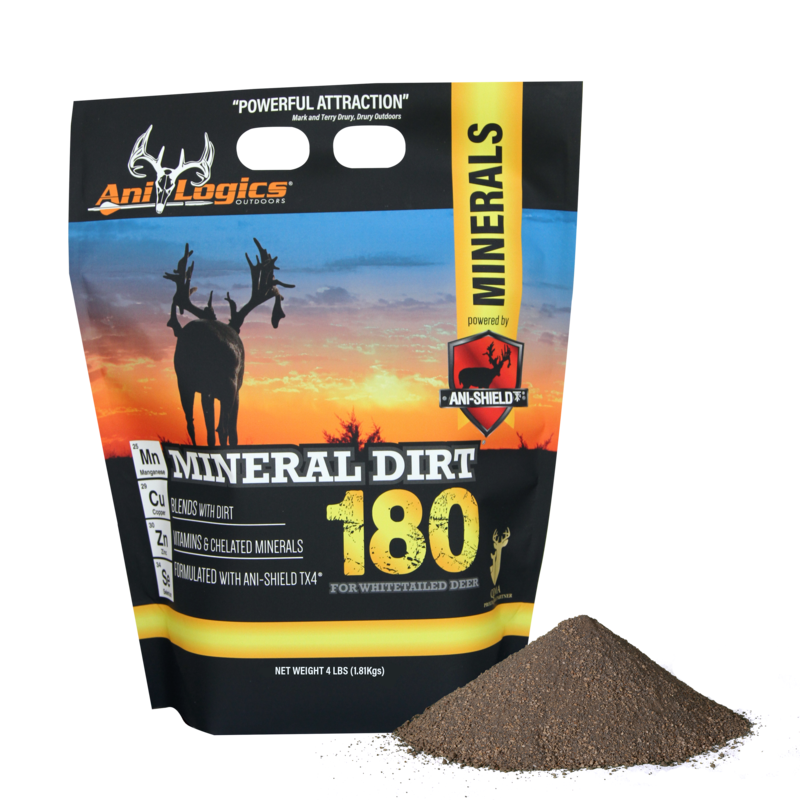 The salt level in Ani-Logics™ minerals is high enough to promote intake, but low enough to leave room for uptake of crucial minerals.